I love an old story that circulates in my family about my great-great grandfather, a fiery circuit-riding preacher named John Martin McBrayer. “The Reverend,” or just “Preacher,” as he was known, traversed the Southern Appalachians on horseback, going church to church, camp meeting to camp meeting, and revival to revival preaching anywhere he was given an opportunity. Ultimately he settled down (I think his wife got tired of him leaving her with the 12 children each week) and started a Baptist church in North Georgia. He would fill that pulpit for the much of the remainder of his life, and when he died, he was laid to rest in the red dirt of that church’s cemetery. It was the early 1900s and drought was smothering the Georgia countryside. Farmers were desperate. Their crops were burning up in the fields, their cattle was dying of thirst, and everyone thought the river would run dry. 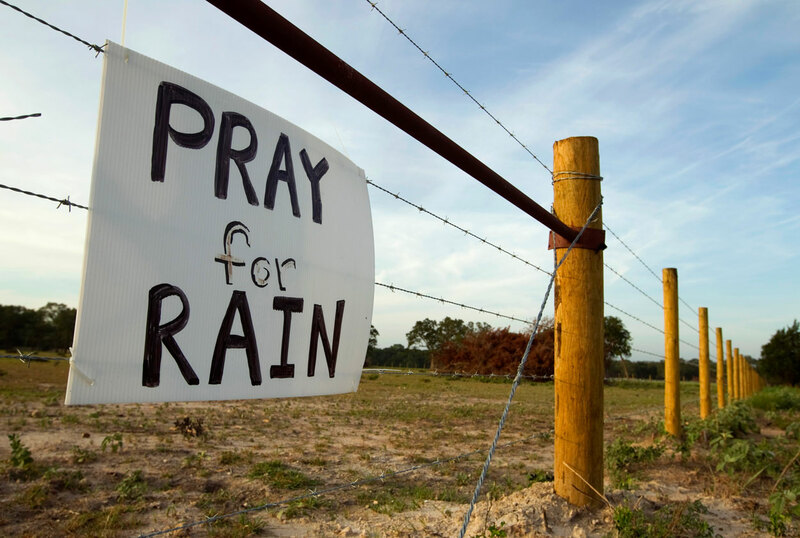 So a Saturday prayer meeting was called, a meeting to pray for rain. A good portion of the community gathered, and in time, old John Martin came riding up on his pony. It took The Preacher a little while to come inside the church building, but when he did, he had his battered Bible in one hand and his heavy Western saddle and saddle blanket thrown over his shoulder. Sure enough, before they all left the church that afternoon, the rains had come and the drought had been broken. And just as sure, most folks left on wet saddles and in drenched wagons while The Preacher trotted toward home as dry as dust (all while wearing that mischievous grin, I am certain). I often tell this story, not as a means of convincing people that they will always get what they pray for, but as an illustration of what faith looks like: Faith in God, not faith in a specific, pre-calculated outcome. John Martin trusted God – his life was a testament to that fact – whether the rains had come on that Saturday afternoon or not. This is reminiscent of an even older story found in the ancient book of Daniel, the story of the “Three Hebrew Children,” known as Shadrach, Meshach, and Abednego. These three Jewish boys were ordered to bow and worship a god that was not their own, not the God that they knew and trusted. Such an act of false worship, for them, was beyond the pale, so they refused. For their noncompliance, Shadrach, Meshach, and Abednego were to be cast into a fiery furnace and burned alive. But before the sentence was carried out they were given a final opportunity to acquiesce. Their response might be the greatest statement of defiant faith in religious history. Here is mature faith: It is far more than a cheerful outcome contrived within our imaginations, or a “happily ever after” post-scripted to every story we tell. It is trust in the God behind all outcomes; it is hope in the God who is writing our stories. Enough of this faith that professes only the ability to change our circumstances; such faith is little more than a lucky rabbit’s foot. Instead, we need a faith that gives us resiliency, faith that strengthens our souls. We need faith that serves, not as a payoff for our prayers, but as growing confidence in a Person. We need that faith that sustains us, if the hoped-for rescue or drought-breaking rains come or not.